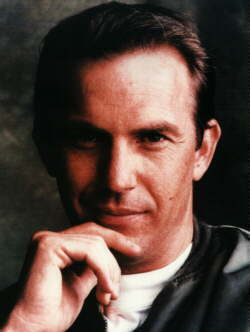 While a marketing student at California State University in Fullerton, American actor Kevin Costner became involved with community theatre. 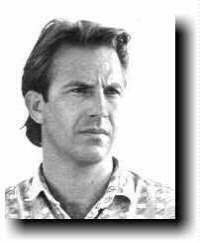 Upon graduation in 1978, Costner took a marketing job that lasted all of 30 days before he decided to take a crack at acting. At least that's the official story; though Costner would probably like to cremate the memory, the fact is that he made his film debut in 1974 in the ultra-cheapie Sizzle Beach USA. No matter. 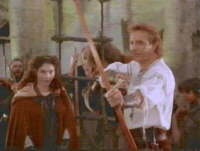 When Costner seriously decided to take up acting, he went the usual theatre-workshop, multiple-audition route. Casting directors saw potential, but weren't quite sure how to use Costner; besides, the novice actor had a bad habit of speaking up if something bothered him on the set. That may be why his Big-Studio debut in Night Shift (1982) consisted of little more than background decoration and the subsequent Frances (1982) featured Costner as an offstage voice. Director Lawrence Kasdan liked Costner enough to cast him in the important role of the suicide victim who motivated the plot of The Big Chill (1983), but when the film was released, all we saw of Costner were his dress suit and necktie as the undertaker prepared him for burial during the opening credits. 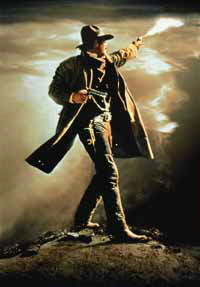 Two years later, a guilt-ridden Lawrence Kasdan chose Costner for a major part as a hell-raising gunfighter in the "retro" Western Silverado (1985) - and this time he was on camera for virtually the entire film. 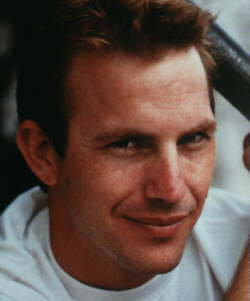 Costner's big breakthrough came with a brace of baseball films, released within months of one another: in Bull Durham (1988), the actor was taciturn minor-league ballplayer Crash Davis, and in Field of Dreams he was Ray Kinsella, a farmer who constructed a baseball diamond in his Iowa cornfield when The Voice said "If you build it, he will come." 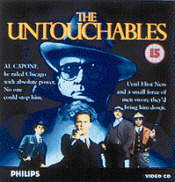 His Hollywood clout amplified by the combined box-office success of these films enabled Costner to make his directing debut. With a minuscule budget of $18 million, Costner went off to the Black Hills of South Dakota to film the first Western Epic that Hollywood had seen in years, a revisionist look at Indian-White relationships titled Dances With Wolves (1990). Detractors had a field day with this supposedly foredoomed project, labeling the film "Costner's Folly" and "Kevin's Gate." But he who laughs last...Dances with Wolves was not only one of 1990's biggest moneymakers but also that year's Academy Award-winning film; additionally, Costner copped an Oscar as Best Director. 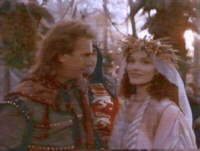 A curious costume epic Robin Hood: Prince of Thieves (1991) followed, with Costner as the world's first Oklahoma-accented Robin Hood; this, too, made money, though it seriously strained Costner's longtime friendship with the film's director, the notoriously erratic Kevin Reynolds. 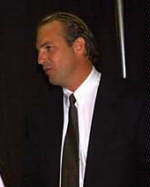 The Bodyguard (1992), an improbable concoction which teamed Costner with Whitney Houston, did so well at the box-office that it seemed the actor could do no wrong. But A Perfect World (1993), directed by Clint Eastwood and casting Costner against type as a half-psycho, half-benign prison escapee, was a major disappointment, even though Costner came through with one of his best performances. 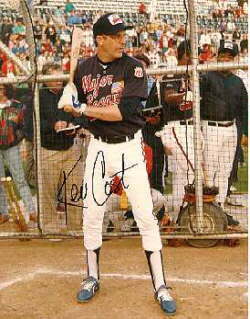 Unfortunately, Costner followed Perfect World with another cast-against-type failure, the 1994 sagebrush dud Wyatt Earp, which proved that even director Lawrence Kasdan can have his off days. Costner's most recent film Waterworld received an enormous amount of negative publicity prior to opening because it was way over budget and schedule, however, it opened to good critical reviews and so far, has been enjoying box office success. T & A's Gorgeous Guys!